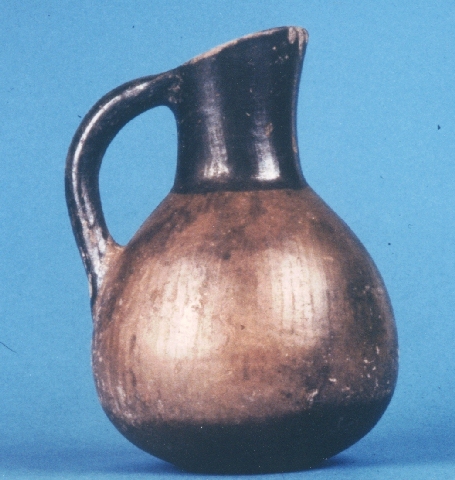 Jug with cutaway spout. Product of a local workshop. From the building lot at 10 Dryos street. Black and brown slip with traces of burnishing. Datable to the middle of the 6th century.